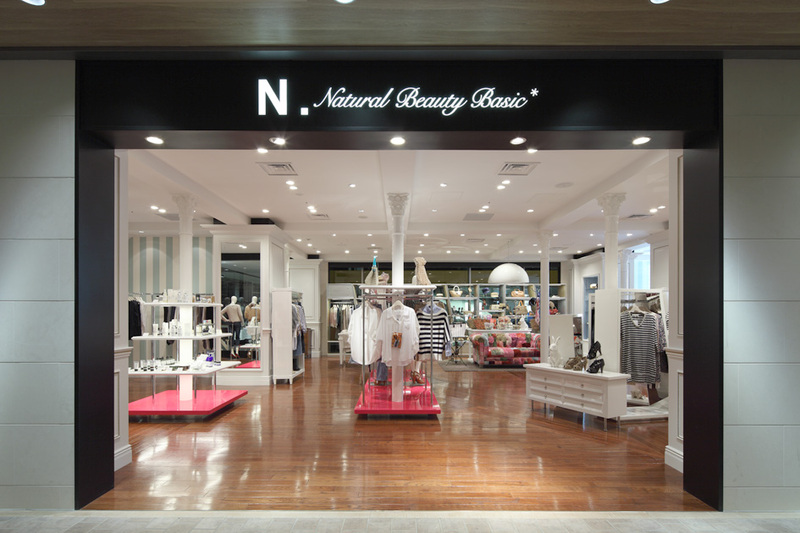 This is a sister brand to the popular Japanese shop "Natural Beauty Basic". Various interior elements inspired by the first letter of the brand's name have been brought into a classic setting reminiscent of "medieval Europe". 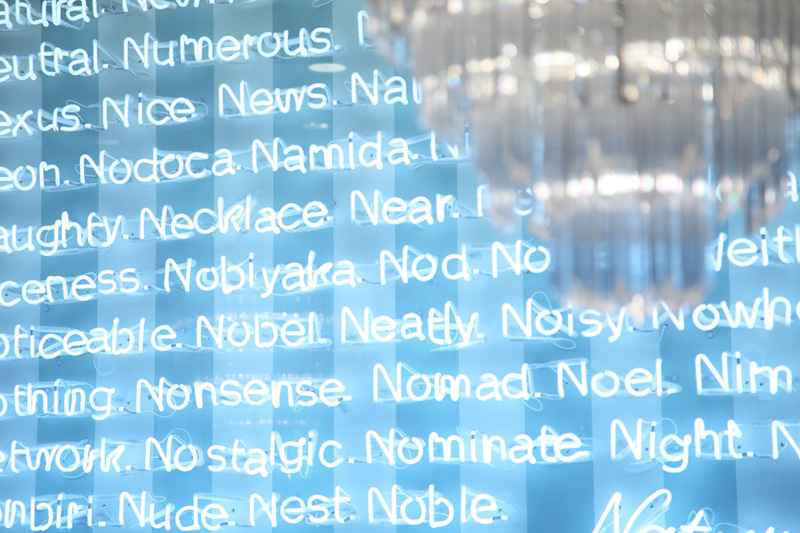 These include N-shaped display fixtures, an N-shaped pattern in the floorboards, and an unintentional allusion to the letter N in the use of neon lights (which starts with the letter N). Through these elements Jamo was able to make use of the technique of contrast to delineate a modern sense of space out of a flat white area, which otherwise gives the impression of a trip through a modern art gallery. Decorative columns are placed regularly throughout the space to create a sense of rhythm and to tie the overall space together. 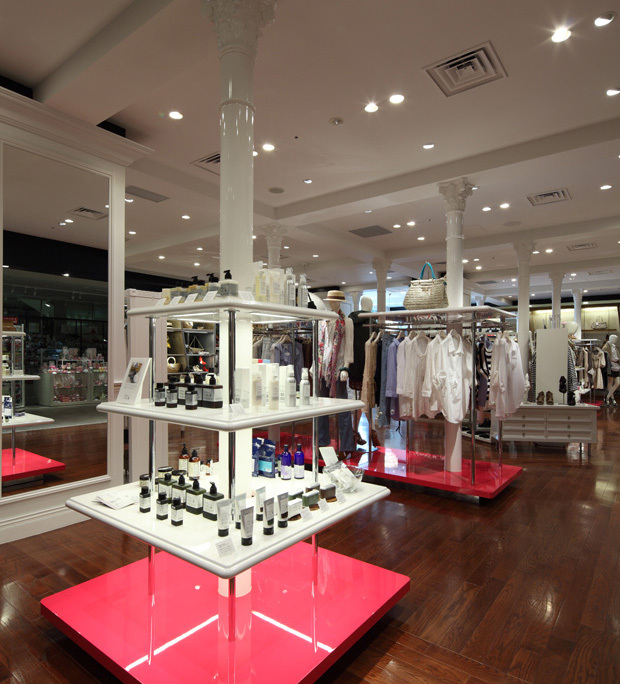 Additionally, the columns were made to be used as display fixtures. 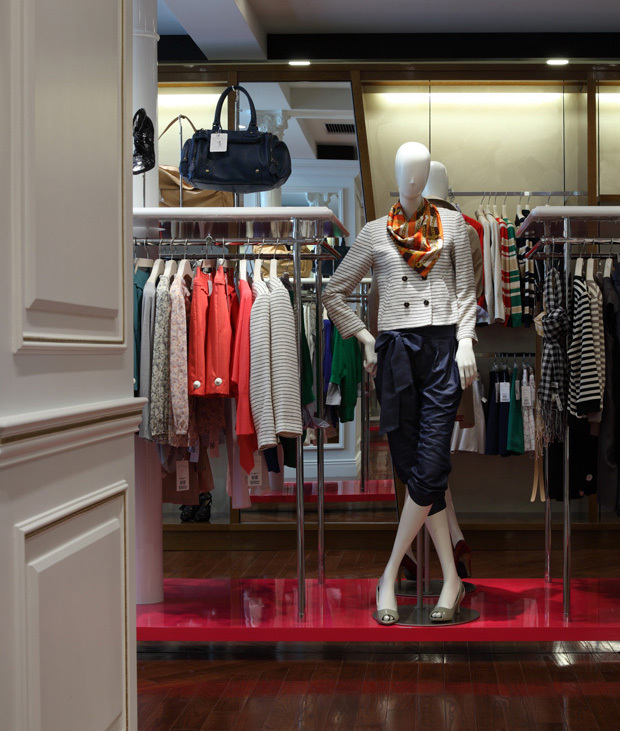 By adding only necessary functions to existing architectural elements Jamo experimented with creating store fixtures that establish a more coherent sense of space. 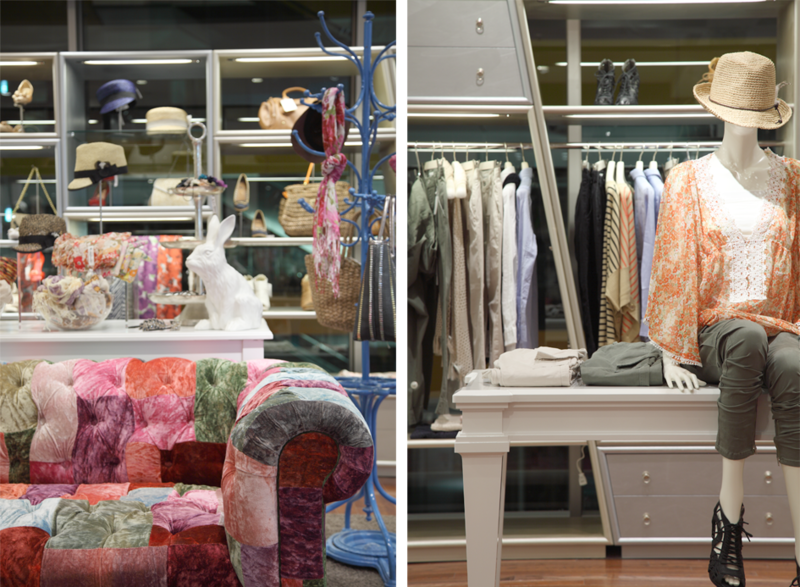 The bright pink platforms that have been placed strategically here and there throughout the store were also chosen from the perspective of creating contrast.